Last Saturday, Zoe Woodgate, a PhD student working on the critically endangered riverine rabbit across the drylands of South Africa, and Marine Drouilly went to Anysberg Nature Reserve in the Little Karoo to present their respective project and some of their results to the farmers living around the protected area. The meeting was chaired by Marius Brand, Anysberg Nature Reserve’s manager. 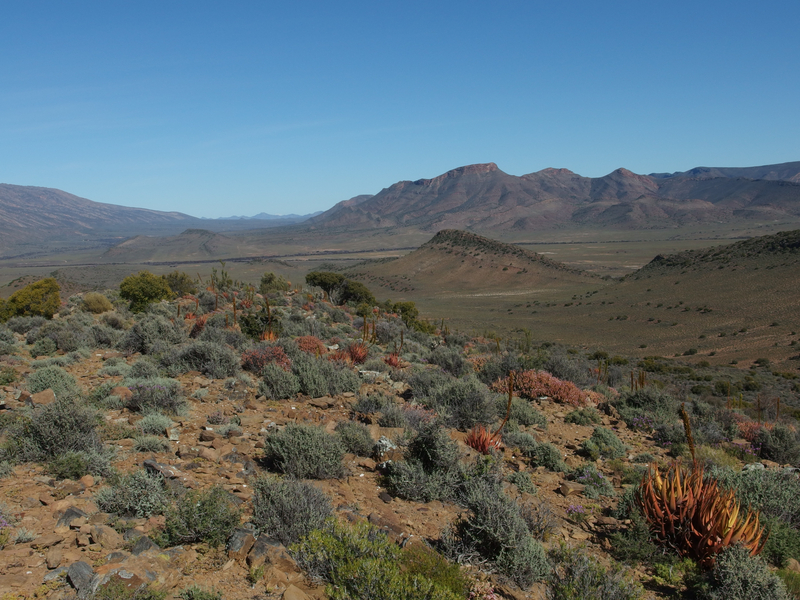 Anysberg Nature Reserve in the Klein Karoo. It was a great opportunity to exchange with mostly lifestyle farmers this time and we were delighted to see how conservation-minded the whole community was! Both Marine and Zoe were asked lots of interesting questions after their talks. 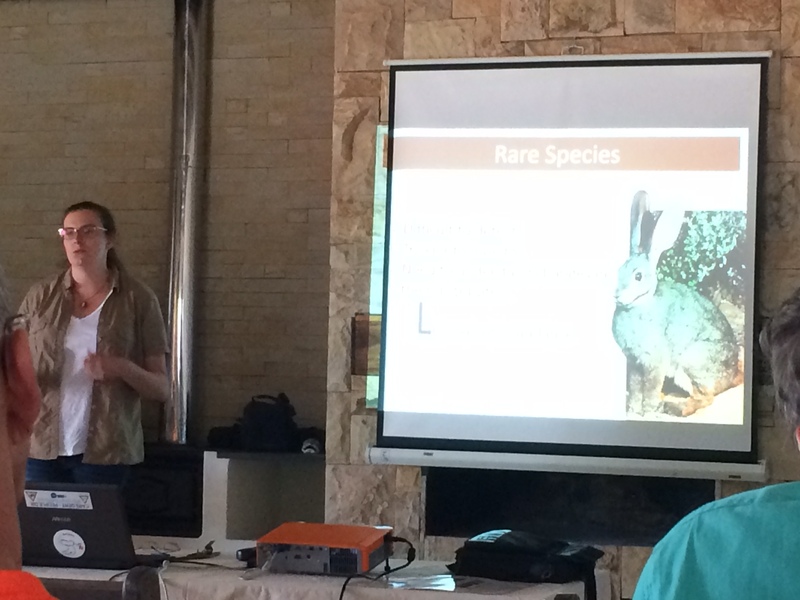 PhD student Zoe Woodgate presenting her work on the critically endangered riverine rabbit. The Karoo Predator Project would like to thank Cape Nature and Marius Brand for inviting Marine to the meeting and giving her the opportunity to share her work with more people. 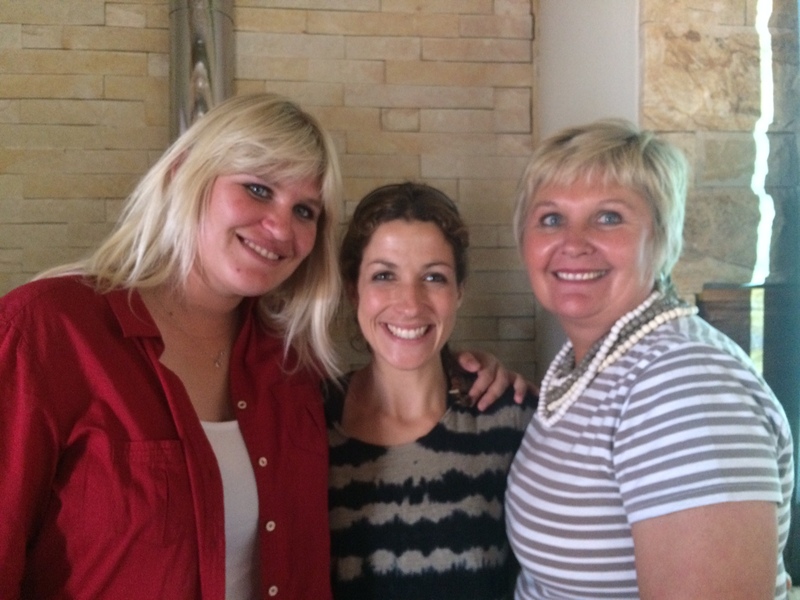 Great surprise for Marine: Marijke and Marlie Gouws, the farmers family who accommodated her in the Karoo and helped her so much with her project, travelled to the Little Karoo to come to the meeting! This entry was posted in Uncategorized and tagged anysberg, CapeNature, karoo, PAAC, riverine rabbit, small livestock farming. Bookmark the permalink.